Patrick's love and passion for his home state of Montana has provided him the ability to share his extensive knowledge and experience through the real estate industry. 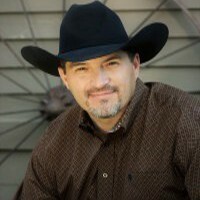 With his vast knowledge and experience in ranching, agriculture, back country hunting, horsemanship, outdoor survival, and habitat development, he has proven to be a perfect fit to represent the Trophy Properties integrity. With 20 years of professional sales management and consulting, Patrick believes in building a relationship with his clients in order to find their perfect trophy property. His unique sense of humor and dedicated attitude to "cater" to the client is a guaranteed life long memory. For the experience of a lifetime in searching for raw land to build your mountain home, a recreational property to absorb the outdoors, ranch land to spread out, an outdoorsman commercial property to invest, or a secluded vacation home to vanish, let Patrick guide you to accomplish your dream. A proud member of the Trophy Property Team.